This seat is located right between the last turn and the starting line. You will enjoy at best every phase of the race. Very high spot, in shade for the whole event. 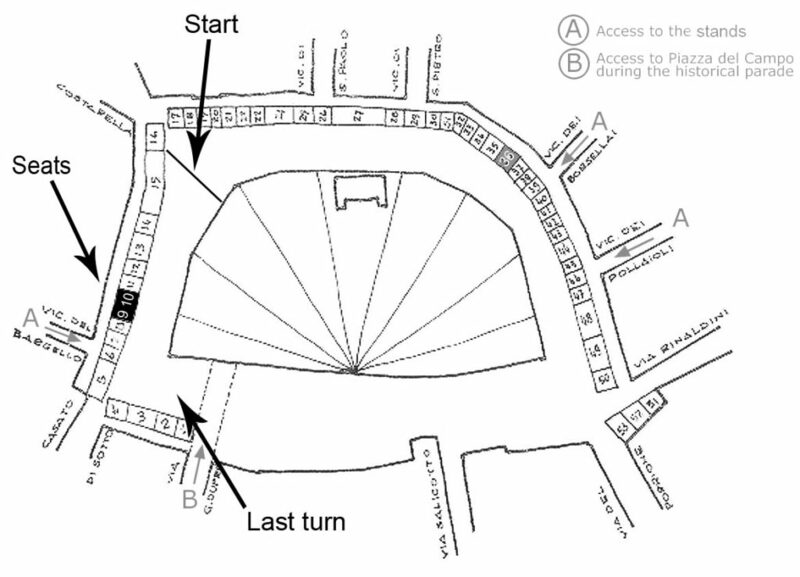 The access to the grandstand is possible starting from 5:00PM, the beginning of the parade in the square. The access is from vicolo del Bargello, show your tickets to the stewards at the entrance and they will tell you where to go. No toilet, no beverages provided. Bring your own! This seats can be located either in grandstand n. 9 or n. 10, right next to each other.